After much ‘will he/won’t he’ about David Cameron’s participation in the upcoming Election TV Debates, it has been announced today that the BBC and ITV will amend their debate format to include 7 different parties after pressure from the Prime Minister. The two debates will include The Conservative Party, The Labour Party, The Liberal Democrats, UKIP, The Green Party, SNP and Plaid Cymru. In addition to this, Channel 4 will broadcast a head-to-head debate between David Cameron and Ed Miliband only. Did the broadcasters make the right decision in deciding to include so many parties? 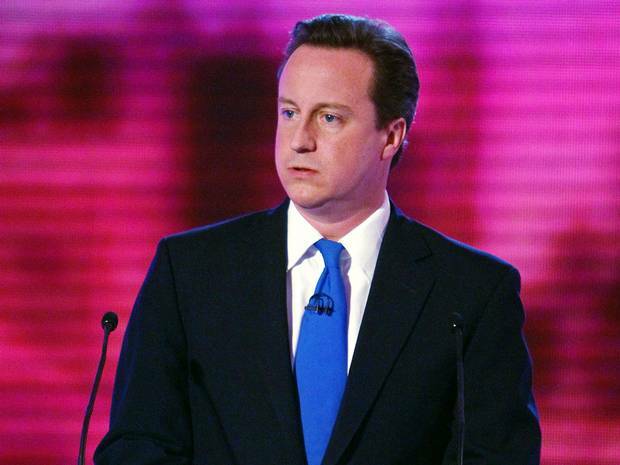 Many critics viewed David Cameron’s comments that he would not participate in the debates without the Green Party as ‘an easy way out’ to stop him looking weak. Arguably, Cameron has the most to lose with these debates, since last time neither the Labour or Conservatives greatly benefitted in terms of public popularity. However, these comments almost definitely showed David Cameron as weak. The inclusion of the Green Party, whilst it would be democratic to include all parties who receive seats, has led to parties which hold more seats than it being included. Is it justifiable to include a party who can only manage to claim 1 seat? Many will argue UKIP also should not be included since, as of yet, they’ve only received 2 seats through by-elections in 2014. The key point is that regarding vote share, UKIP and the Greens both command a significant number of votes each. In fact, the Lib Dems are in danger of dropping below both parties in the General Election as they have in last year’s local and European Elections. The SNP are expected to make a clean sweep of the Scottish seats and completely wipe out the Tories and Lib Dems, while squeezing Labour’s number of seats into single figures. In my opinion, I think the SNP could become key players in the next Government. Right now, it’s a choice between a Conservative + Lib Dem coalition, Labour + SNP coalition or Labour + Lib Dem coalition. The SNP coalition is a strong possibility if they gain the projected amount of seats. Peter Kellner made a rare ‘seat’ prediction – placing Conservatives at the top with 293, Labour with 277, UKIP with 5, the Lib Dems with 30 and the SNP with 23. However, there have been other reports which have placed the SNP on 40 seats, squeezing Labour down to just 4 from Scotland. Right now the Conservatives and Labour are neck-and-neck in the polls, with just a couple of percentage difference. If Labour managed to gain significant ground in the next few months a Labour + SNP coalition could be a possibly because Nicola Sturgeon (leader of SNP) has suggested she would be open to talks with Labour. Therefore, it could also be argued that including the other parties is the fairest and most democratic form of campaigning during the election build up. SNP could be major players in the UK Politics as a whole, not just Scotland soon. I’m sure David Cameron knows the threat which he faces, and will most likely be hoping for divisions and tensions between the other parties to try and help his party gain the most seats and possibly a majority. Regardless, the issues around the TV debates are far more complex this time round due to the increasing support for smaller parties. There’s no obvious choice of third party anymore, since the Lib Dems have crashed be level (in vote share terms) with UKIP, SNP and the Greens. It will be very interesting to see the next twist in the ‘debate debacle’ and whether they will actually go ahead as scheduled in April. Previous Post Green Party is 2nd most popular amongst young voters, but will they make electoral progress? Next Post Freedom of Speech: when do you cross the line?